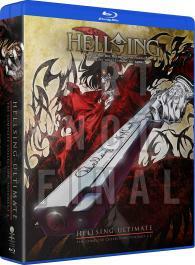 Protecting England from satanic ghouls, the Hellsing Organization's deadliest weapon is a rogue vampire named Arucard. Seras Victoria, a former policewoman who accepted Arucard's gift of dark salvation after she fell in the line of duty, is called for backup. Together, they haunt the shadows as a sinister force of good.